Highland Dental Associates (Somerville) - Book Appointment Online! Highland Dental Associates treats each and every patient that walks through our doors like family. Our dental team and staff go above and beyond to provide you with the best dental care and service possible in a kind and relaxed atmosphere. We take the time to answer any questions you have, talk with you about your dental health, and educate you on how to achieve and maintain optimal dental health. 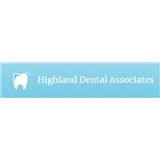 No matter your dental need or concern, the professional team at Highland Dental Associates will ensure that you receive exceptional dental care. Highland Dental Associates is a full-service, multilingual dental office located in Somerville, Massachusetts. Our professional dental team is dedicated to providing patients with professional dental care to help achieve and maintain optimal dental health. We take the time to develop genuine relationships with our patients. From general dentistry to more personalized dental care, our team is equipped to provide dental care to put your mind and worries at ease. At Highland Dental Associates, we go above and beyond to provide quality dental care to meet your personal oral needs. The moment you walk in our dental office, you'll receive the highest level of care, attention, and service. Providing professional, quality, and trusted dental care to patients of all ages, you can trust our dental team to take great care of you. At Highland Dental we have an in house lab where we fabricate your crowns, veneers, and bridges by hand. This allows your dental work to be completed under one roof and in a timely manner as well as to the highest standard. As a full-service dental office, we're equipped to care for your dental health care needs. Our staff speak many different languages, including English, Russian, Polish, Spanish, Albanian, Italian, Hindi, and Bengali. To ensure you receive the highest standard of care, we use only the latest equipment such as digital x-rays and the latest CAD/CAM technology. With services for the entire family, we go the extra mile to make your visit as comfortable as possible. Our focus is on educating our patients on their dental health solutions. We empower you to maintain your own dental health by giving you the information you need to keep your mouth healthy. To schedule an appointment you can book online with ZocDoc or contact our dental office today at (617) 623-7474, we may be able to get you in sooner. Staff was very polite. Office looks very clean and beatiful. Very proffesional staff and doctor.